I have wanted to write about this product for so long but it just got somehow forgotten into the “not so new and excited about” item. In my opinion this is a really great product for skins that need/use anti aging products. 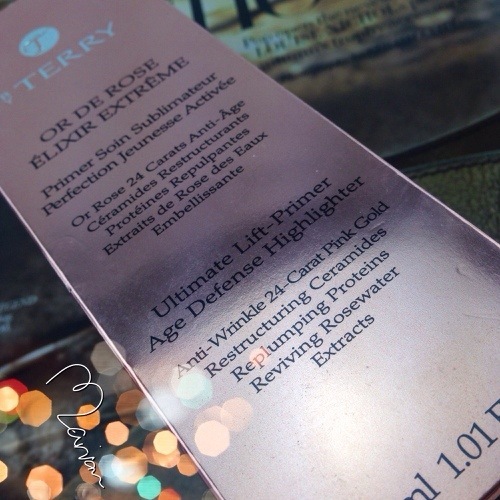 This product is by a loved brand called By Terry, a lot of people are not familiar with it but it can be found at Sephora Dubai branches, I’m really hoping they will bring it in Abu Dhabi branch because i am a fan of it. 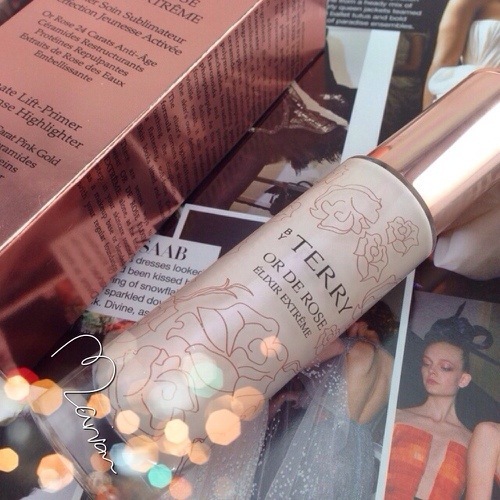 It is a highlighting primer with anti aging qualities, smells really divine and it says smells like rose. 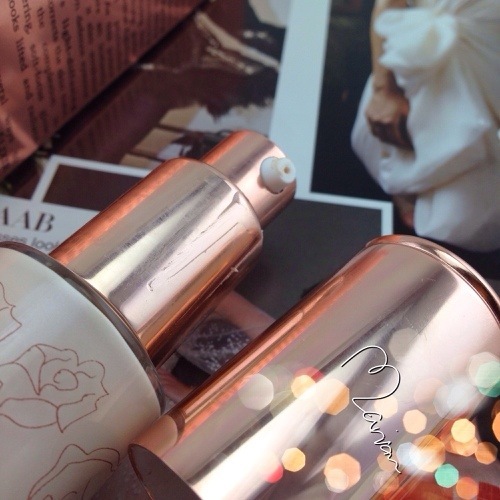 The products looks very luminous and pink when it first comes out of the pump but it blends into the skin to give a really nice glow. The product dries out quickly and doesn’t leave any oil residue so i believe it is perfect for oily skins. The product is a bit pricy, it is sold for around AED 600/- but they say it is pricy because it has 24-carat pink gold.